There’s nothing more exciting to a designer than being given the chance to create or recreate a brand, and all that comes with it: from the logomark and logotype to the brand voice, design hallmarks, grids, font families, and colors. It’s a rare opportunity to mold a brand from the ground up and to create a personality that fits a company’s beliefs and values. Once the long road of research, exploratory, presentation, revisions and approval has reached its end (and congratulations if the road is ever that linear), hopefully you and your client have a brand logo that you’re both proud of: something so simple it nearly seems obvious, and so clear that it speaks to the heart of the brand’s message at first glance. Before walking away and breaking our arms patting ourselves on the back, designers have the final task of delivering locked-down logo assets to our clients, with the feeling that our little baby brand bird is about to leave the nest and fly off on its own. To protect it and give it a long, healthy life, our logo files will span various configurations and color setups, and hopefully, include (at minimum) a logo usage guideline that spells out the do’s and don’ts regarding the logo. This includes basic brand colors and perhaps even a palette of colors that form the basic building blocks of the brand’s identity. It’s an obvious task to include vector and bitmap logo files as a final deliverable with our brand guidelines. However, have you considered how you might deliver the colors themselves as a usable file for anyone who has to take your new brand and run with it? As someone who has studied, stressed and lost sleep over a brand, it can be hard to separate yourself from the deep knowledge you have as a designer. Stop for a moment and consider the benefits of providing every tool you can for anyone who might encounter the brand and face the task of continuing to communicate the brand in a consistent way. You can never be too thorough, and .ase files can help you be that “this-designer-went-above-and-beyond” focus of praise and glory. 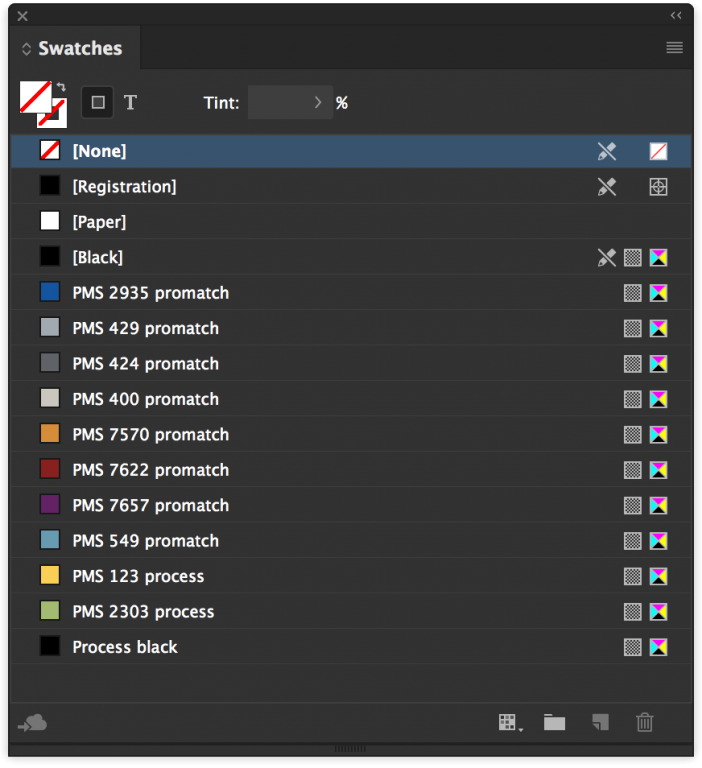 .ase files are Adobe Swatch Exchange documents, a collection of colors that can be accessed in Adobe’s Creative Suite of software applications. 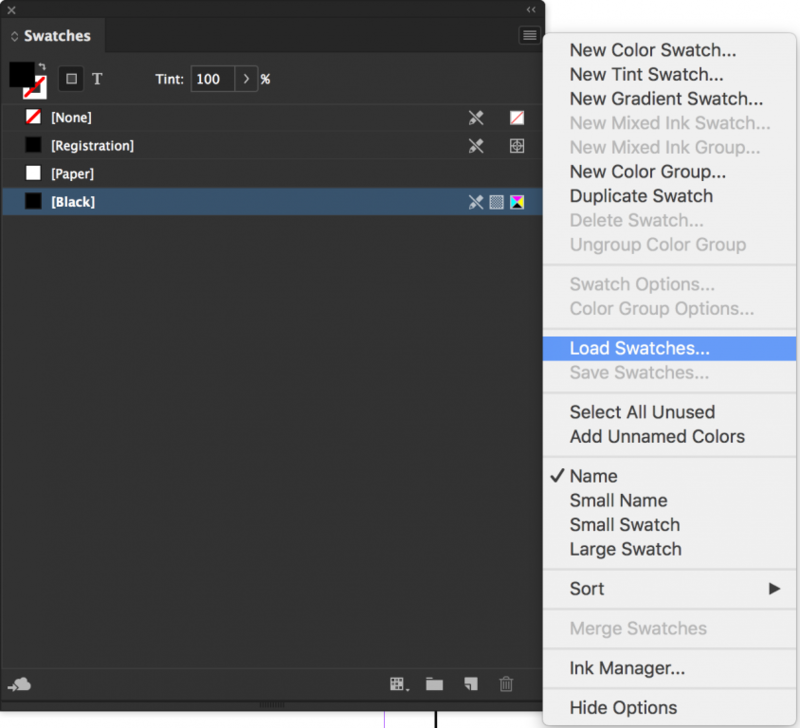 By loading an .ase file, a designer can jump right into a new InDesign, Illustrator or Photoshop document and have all of the needed brand colors right at hand. If you’ve put together a brand usage guide with colors clearly specified, you might wonder why you’d need to bother providing a FILE with the colors as well. The answer goes back to the pride you take in your work, and making sure it never goes astray. Why risk another client-side designer or a different agency making a mistake keying in your specified color values that could dilute a brand? Between various color systems including spot, process and RGB color modes, the door is wide open for a single mistake to manifest itself as a color palette that drifts out of control. The good news: creating .ase files couldn’t be easier. I like to create them in InDesign, where I believe the color palette is easiest to organize. As an example, let’s look at a palette I recently created for a client. There’s a blue color from their logo, a supporting palette of six colors, and a family of four neutral colors. 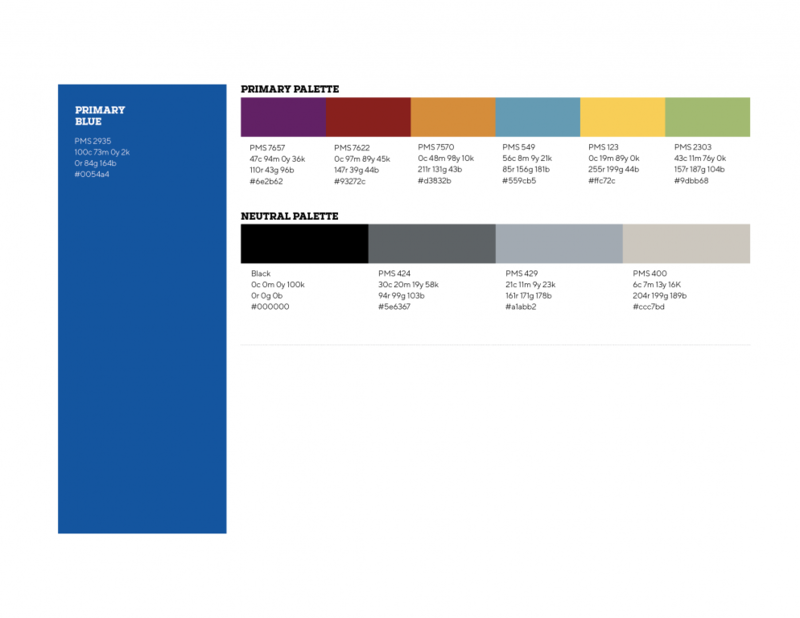 The palette includes Pantone spot colors, their equivalent four-color process mixes (make sure you’re converting Pantone to process correctly), RGB, and hexadecimal values. Just by looking at all the color values that would otherwise have to be input manually by another designer, you can easily imagine the margin for error is pretty high. 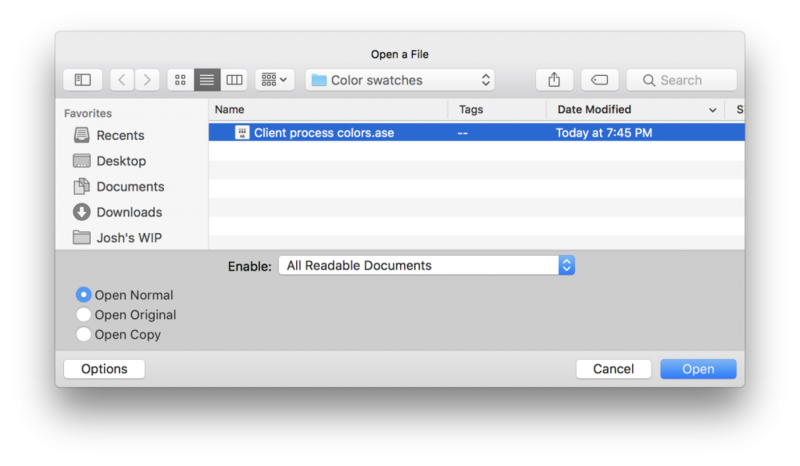 Providing .ase files to automate the task of creating color swatches eliminates this risk and ensures a seamless hand-off between designers. 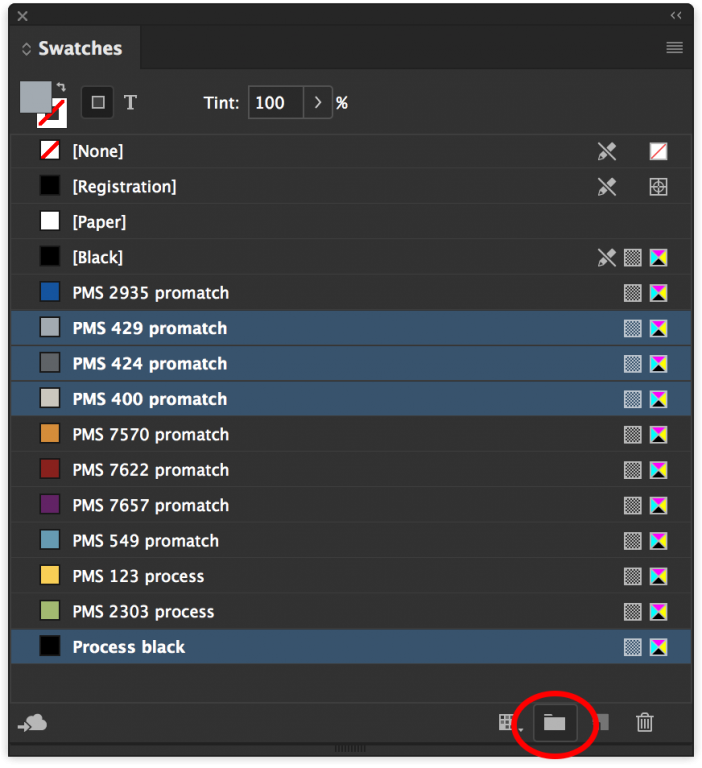 Take a look at the swatches panel in InDesign after setting up these palettes. I’ve already created process color swatches for each of the colors, which by itself would be handy to be able to open in InDesign, Illustrator, or Photoshop without having to recreate the swatches manually. However, I like to go one step further and organize the colors into color groups. To do this, select the colors you’d like to include in a group, then click the “New Color Group” icon at the bottom of the panel. I repeated this process to create three color groups: Neutrals, Primary palette, and Primary blue. Now, you’re ready to save out an .ase file for the process colors in this palette. 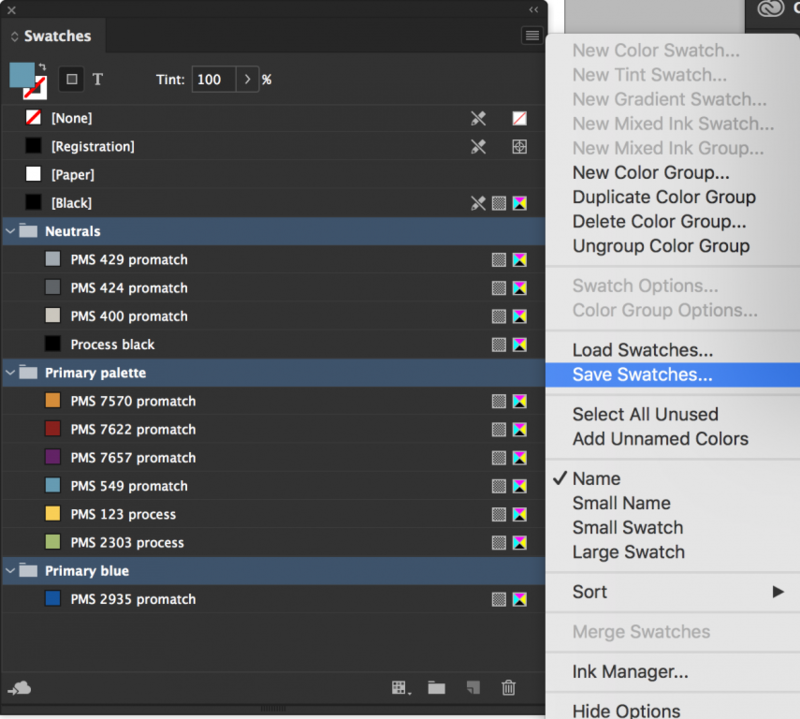 Select all three color groups, and then from the flyout menu at the top right of the swatches panel, select “Save swatches…”. 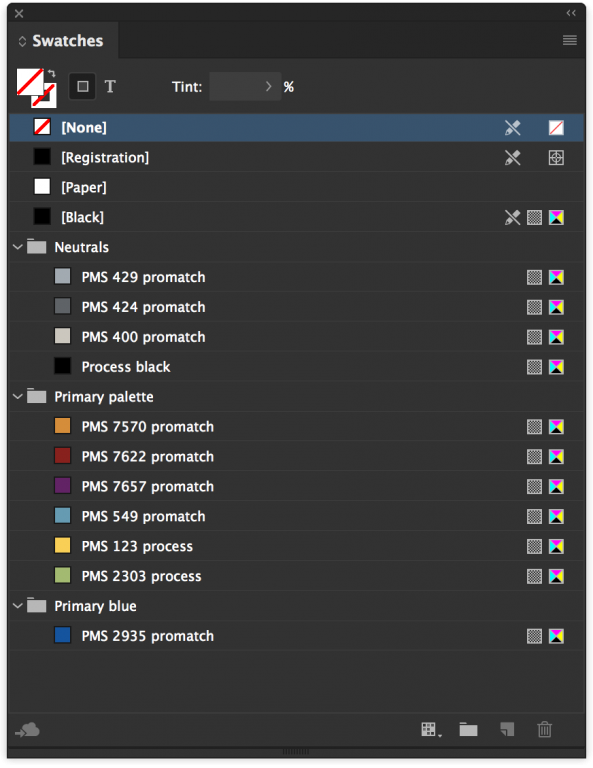 Save the .ase with a name that indicates it’s your client’s process color swatches. Repeat this process for any other swatches you’d like your client to have quick access to: Pantone swatches, RGB swatches, etc. Select one of your .ase files to load them. Voila! 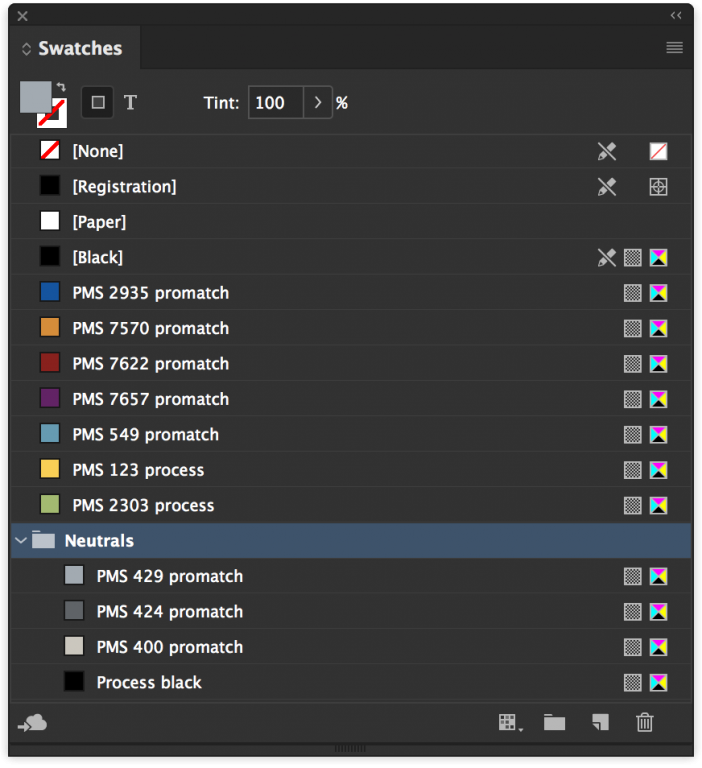 Your color swatches, complete with their organized color groups, are loaded into your swatches panel. The chance of an incorrect color being used has been reduced to zero. Deliver, and be a hero. When you reach the point of delivering final brand assets to your client, include your collection of .ase files. Walk your client through how to use them, and why they’re important to distribute with their new logo and brand guidelines. Best of all, the .ase files work across all software in Adobe’s Creative Suite, and are cross-platform as well, working on Macs and Windows machines alike. Brands you put your heart and soul into will thank you for protecting them, and your clients will thank you for being as thorough as you possibly can be. Have any stories to share about how you handle color for brands you craft? Share them in the comments below.